A new report found that 360 multi-dollar-millionaires live in Houghton, Sandhurst, and Hyde Park. 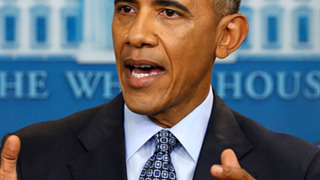 A multi-dollar-millionaires is an individual with assets worth more than $10 million. 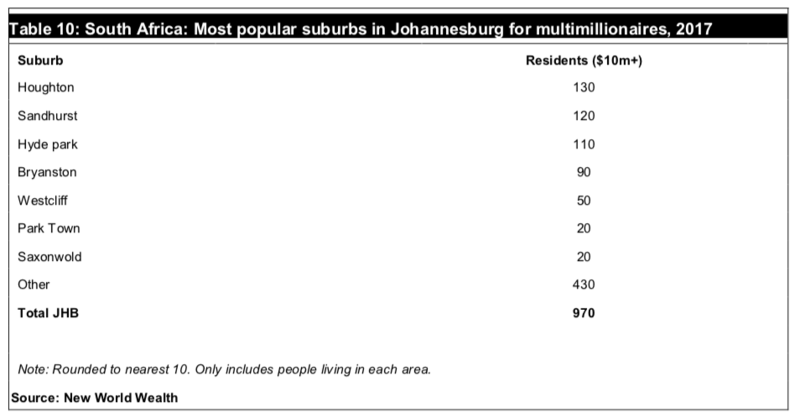 In total, 970 (44%) of the country's multi-dollar-millionaires live in Johannesburg, and 490 (22%) in Cape Town. 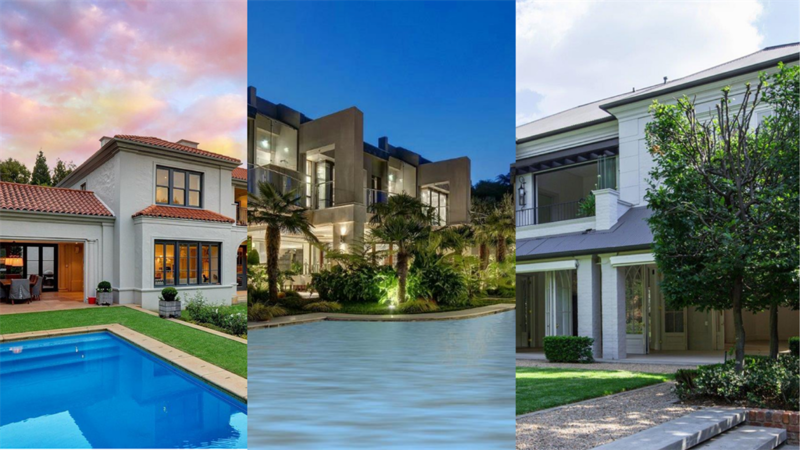 Houghton, Sandhurst, and Hyde Park in Johannesburg are home to 15% of the country's multi-dollar-millionaires, according to a new report by AfrAsia Bank and New World Wealth. Multi-dollar-millionaires are defined as individuals with assets worth more than $10 million, or R119 million based on the current exchange rate. The South Africa Wealth Report, released on Thursday, found that South Africa has 43,600 dollar millionaires and 2,200 multi-dollar-millionaires. Of the 2,200 multi-dollar-millionaires, 130 live in Houghton, 120 in Sandhurst, and 110 in Hyde Park. 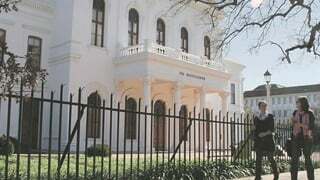 Saxonwold – home to the Gupta family's infamous compound – houses 20 multi-dollar-millionaires. 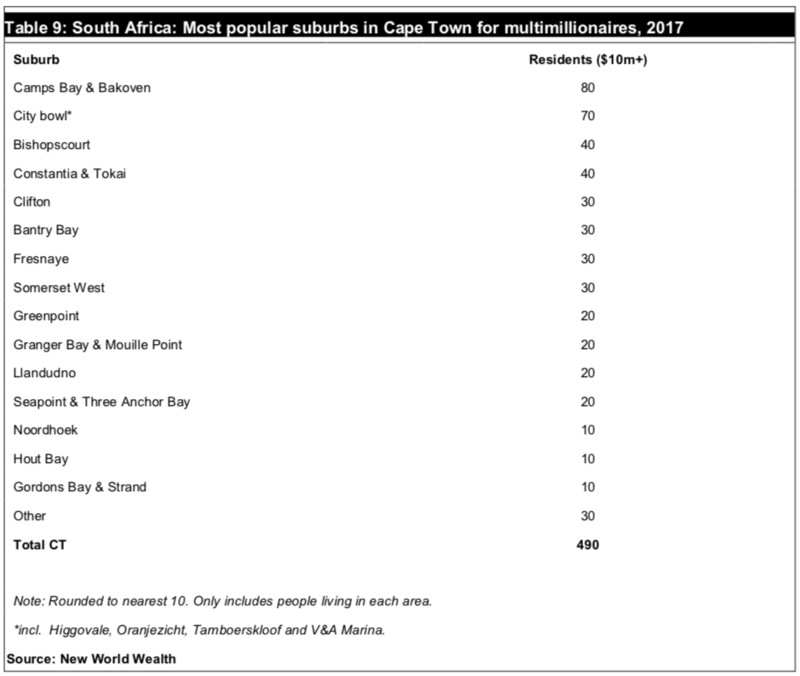 Cape Town's Camps Bay and Bakoven suburbs were the most popular under multi-dollar-millionaires with 80 residing there, followed by the Cape Town city bowl with 70. 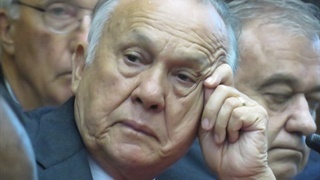 The report notes that while Cape Town has fewer multi-dollar-millionaires living there, several have second homes along the city's south coast.